A man who stalked four women on social media with fake profiles has been dealt with by the courts. Police say in a statement that they were first alerted to the torrent of messages from Orloff in July 2017 when one of the victims reported the harassment to Sussex Police. The woman, in her 50s from Arundel, had received private messages from a number of fake social media accounts stating they knew where she lived and threatened to kidnap her son. Orloff then started posting public messages about the victim on the same fake accounts. After painstaking research and investigation, officers were able to trace two more victims who had been sent malicious messages by the defendant; a woman living in Scotland and a woman from Crawley. 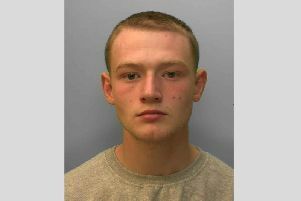 Orfloff pleaded guilty to each of the offences and appeared at Lewes Crown Court on Tuesday October 30.